Every time that I visit a new place, I leave wishing that I had known some tip before visiting. I do my research, but still miss things. 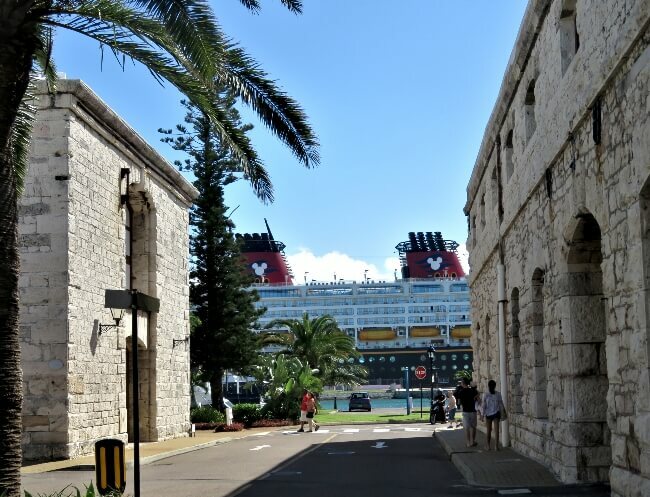 Two things stand out from our recent Disney Bermuda Cruise. Using the Bermuda Bus and Ferry Pass is a cheap, easy, effective, and fun way to explore the island. Cruise ships do not dock in Hamilton, despite it being listed as the port of call. 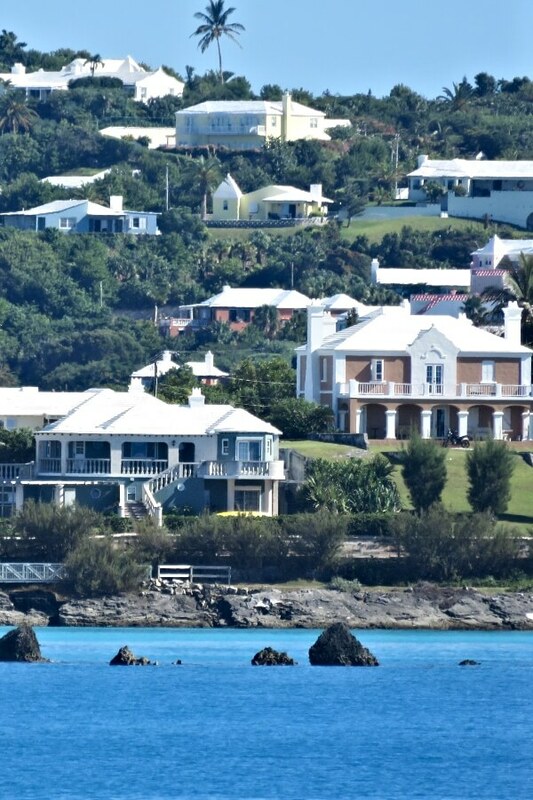 At least medium and large cruise ships dock at the old Royal Naval Dockyard at the far west tip of Bermuda. 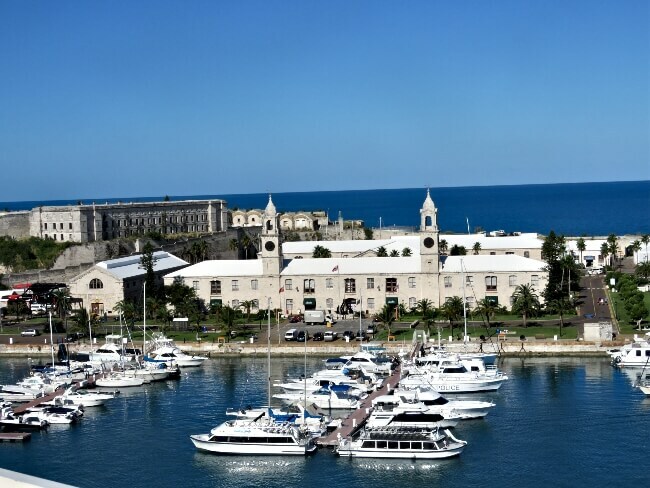 The British built the Royal Naval Dockyard in 1795 and used it until 1951. It has now been transformed into a traditional cruise dock. Shops, bars, restaurants, museums, excursion and rental companies now fill the old structures. You can also find things like putt-putt and dolphin swims. 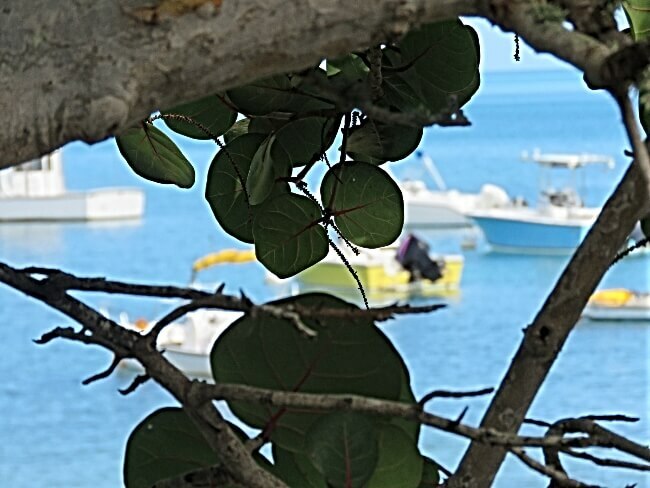 Most things in the dockyard will remind you of the cookie cutter, Caribbean cruise stops. The setting in naval base does make for a better setting, though. As might be expected in Bermuda, the shop selection is distinctively more upscale, too. 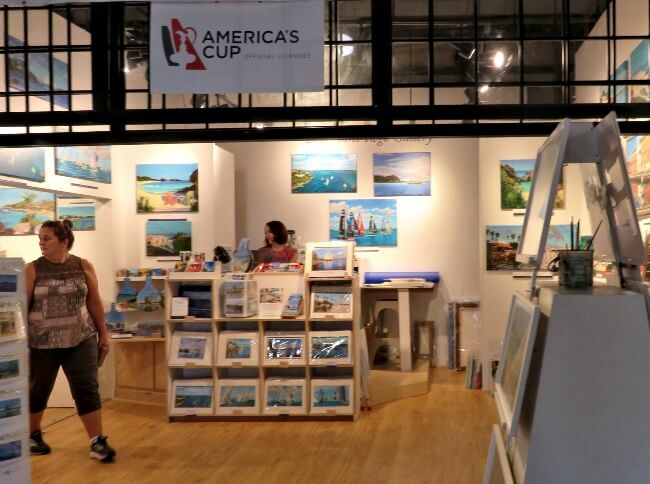 The selection of art impressed me and was fun to browse. Bermuda twists roughly hook shaped from east to west. 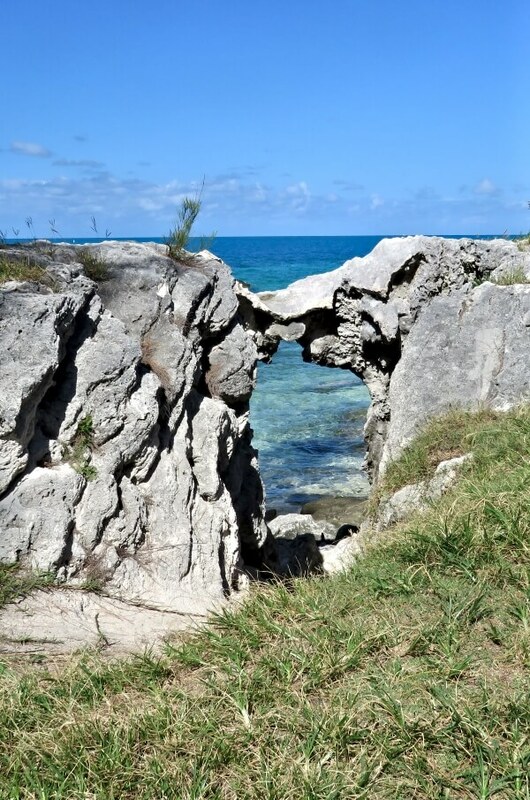 From end to end, Bermuda only spans roughly 20 miles/32 km. The width usually is less than a mile. 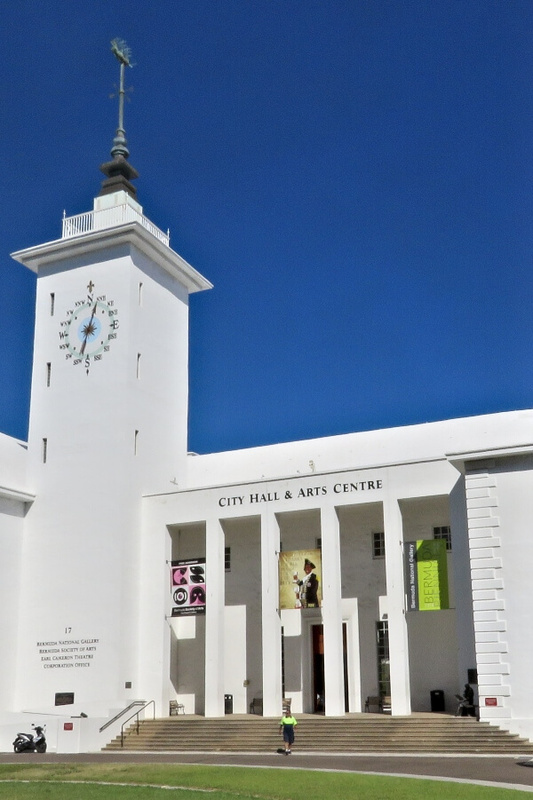 The main points of interest are the beaches along the south coast, Hamilton, and St. George’s. Several other sites worth seeing dot the hills. 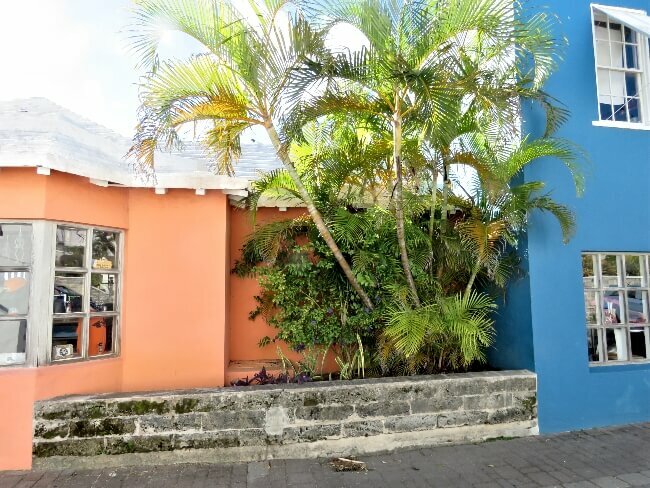 You can purchase the Bermuda Bus and Ferry Pass at Tourist Information Centers at the Royal Naval Dockyard, Hamilton or St. George’s. Post offices sell them, also. When exiting a cruise ship at the Dockyard, you will find two options. A kiosk, literally at the tip of your ship, sells the passes at no markup. The Tourist Information Center is located about 1/4 mile inland. Adults pay $18 for a 1 day pass, $30 for 2 days, and $42 for 3 days. 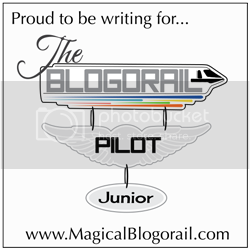 Tickets for children ages 5 – 16 costs $10 for 1 day, $16 for 2 days, and $22 dollars for 3 days. Children under 5 ride for free. The passes work for the calendar day, not for 24 hours. They expire at midnight. Fellow passengers paid $27 dollars per person to be taken and picked up at a set time to only one beach. This was the cheapest shore excursion offered by Disney. 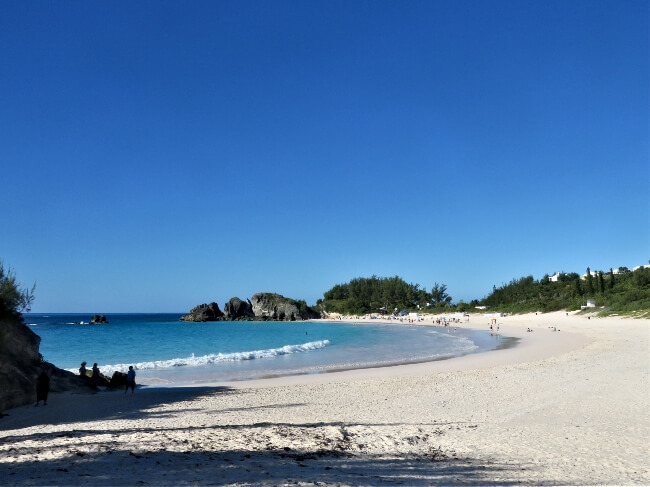 Using the Bermuda Bus and Ferry Pass, I visited multiple beaches and sites when I wanted, at my convenience. Taxis offer flexibility, but cost even more. When you buy your tickets, ask for a bus and a ferry map. The bus routes are numbered and colored. The Dockyard bus stop is near the Tourist Information Center. Two bus routes make it to the Dockyards. A bus arrives from each every 10 – 15 minutes. The busses stop roughly every kilometer along the bus routes at the same 10 – 15 minute interval. I never waited over 10 minutes. In the evening, the busses run less frequently. You can catch the bus well into the evening, most until around midnight. But, be sure to check the times on the schedule. Bus stops are marked by poles painted either blue or pink, depending on whether you are coming to or from Hamilton. 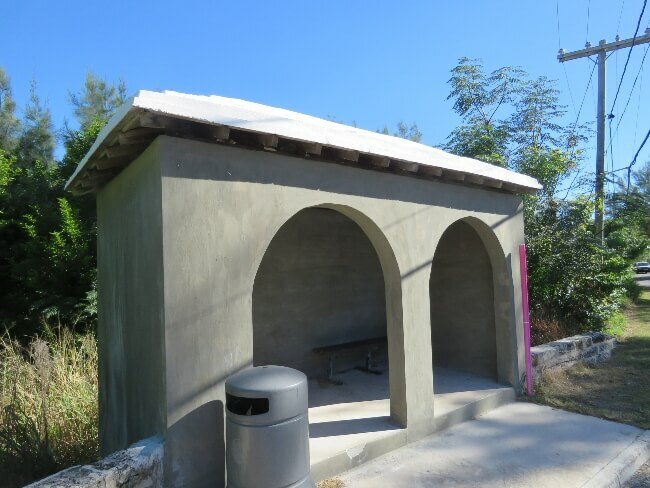 Most of the stops have small, concrete huts to keep you out of the sun. To notify the bus driver that you want the next stop, either push the red button next to the window or just verbally notify the driver. You can stop at or very near any site that you wish to see. Leaving from the Dockyards, almost all of the passengers are tourists. The farther you get from the port, mainly locals board the bus. The local passengers were helpful in making sure I found the right stop. The busses were clean and relatively comfortable. I had to stand for a short period of time, but not long. Most of the busses had comfortable AC. Neither the AC nor the driver alert button worked on the bus from St. George’s to Hamilton, though. It was hot! 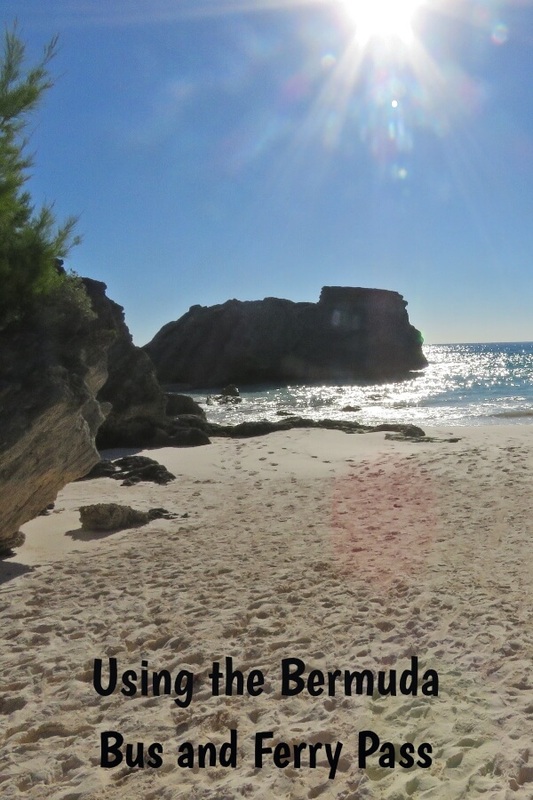 I found the people of Bermuda to be friendly, kind, and polite. Leaving St. George’s on the far end of Bermuda, the bus was filled, about 1/2 were school kids. Seeing my Disney Cruise Line “Key to the World” on my lanyard, several children struck up a conversation. They asked a ton of questions about the cruise and wanted to see photos of the ship. I was happy to oblige. It made the time pass quickly, but did distract me from the views. We love boat rides. 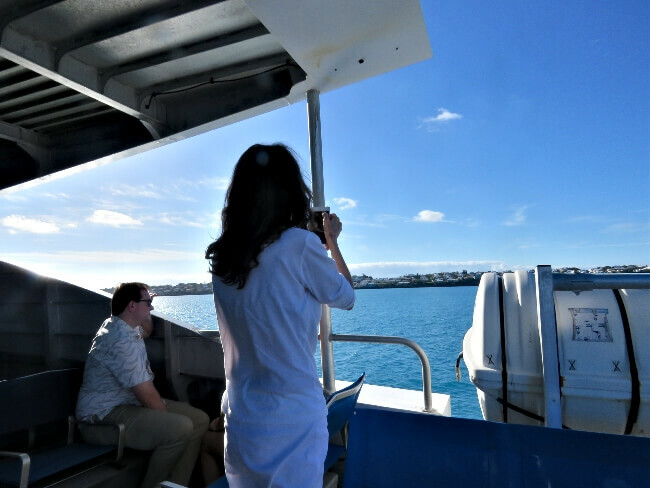 Riding the ferry is a great way to view Bermuda’s northern coastline. Brightly colored homes dot the rocky shore. The lower level of the ferry is air conditioned with comfortable seats and large windows. Almost no one sits there. The open upper deck gives wonderful unobstructed views. Once the boat starts moving, the breeze works well as AC. From the dockyards, the ferry station is on the water near the Tourist Information Center. Pay close attention to the schedule, the ferry schedule varies day to day. The ferry from dockyard to Hamilton and back leaves hourly. The one from the dockyard to St. George’s runs every 2- 3 hours. The cruise to Hamilton takes about 20 minutes, to St. George’s about 40. There are other ferries to smaller ports, but these are not included in the tourist pass. You can pay more to purchase these, though. My favorite way to explore a new place is on my own, with a map in hand. I have used this method to tour New Orleans, Rome, Barcelona, and other places. Sometimes a tour is necessary like to whale watch. 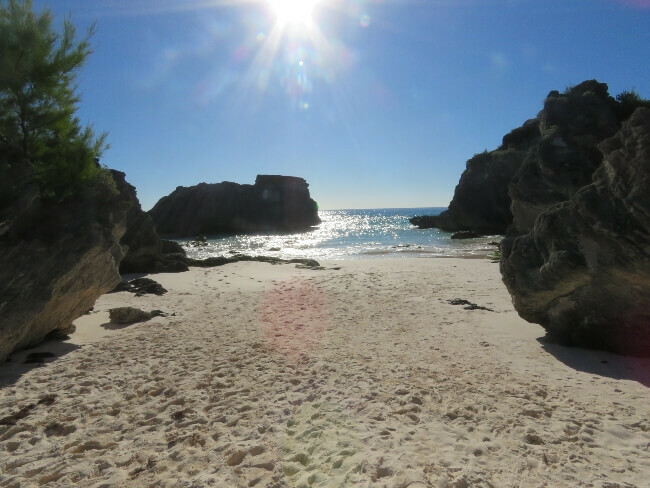 Three days in Bermuda provided ample time to do it on my own. On our first day in port, we just explored the Royal Naval Dockyards. I also walked to some relatively nearby beaches. I arise early; my family late. On day two, I left early and bought my pass. The first bus left at 9 a.m. Me and many other passengers from the Disney Magic and the Royal Caribbean Anthem of the Seas took the bus to the famous Horseshoe Bay Beach. The ride took about 20 minutes. From here I wandered along the southern coast exploring beaches. The views are amazing. The beaches are lined with cliffs. Boulders project from the sea. Tiny coves hide tucked into cliffs between the larger, well know beaches. I then caught another bus back to ship for lunch. My wife was not feeling well and did not want leave the ship. So, I took the ferry to St. George’s at the far end and explored this historic town. 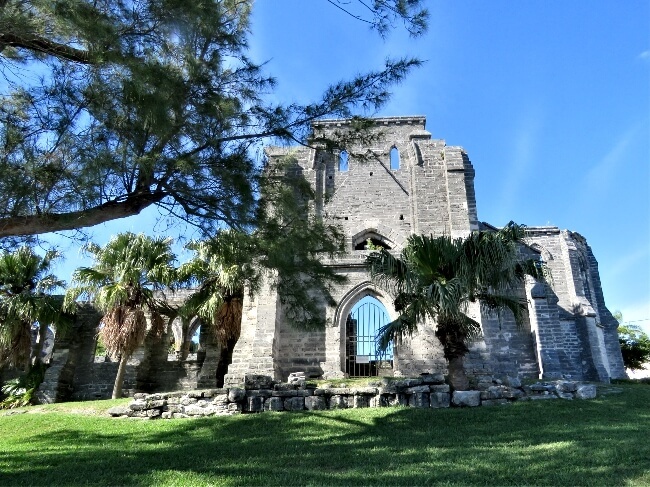 St. George’s was first settled in the 1600s. This town has a lot to see in a small area. Brightly colored buildings, many 100s of years old, line narrow streets. 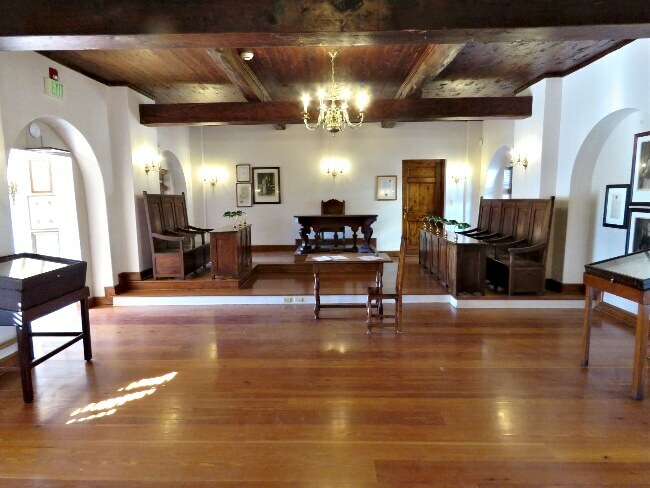 The unfinished church, Somers Park, and historic courthouse are highlights. The last ferry was too late to get back in time for dinner as I had promised my wife. So, I caught the bus where I met the school kids. I had to switch busses in Hamilton. I had given myself enough time to explore the docks and historic district. Hamilton is a nice town. At night, the restaurants and night life are supposed to be great. 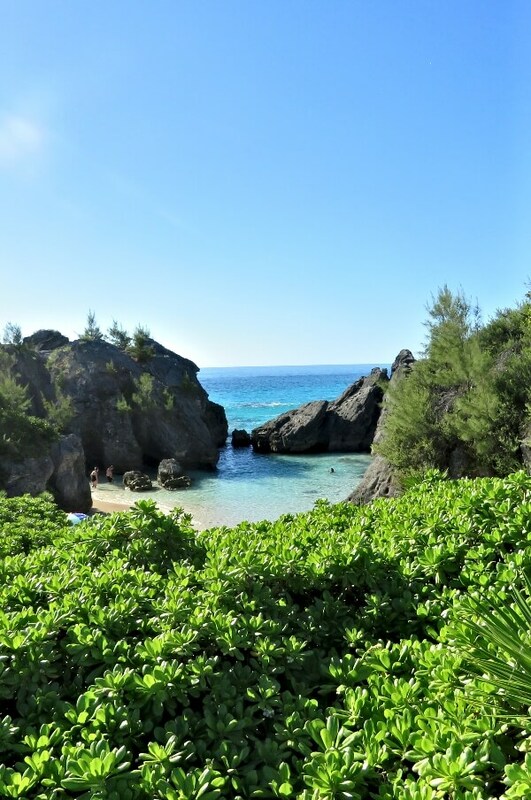 During the day, I prefer the rest of Bermuda. I reboarded and made it back just in time. Each leg of the ride took about 40 minutes. My wife was feeling better on day 3. After seeing my photos and hearing my stories, she was excited to ride the ferry and wanted to explore St. George’s. All aboard for the Disney Magic to leave port was at 2:30, so our time to see more was limited. We all had a wonderful day together and enjoyed the ride. I should have bought the extended Bermuda Bus and Ferry Pass when we first arrived in port. I was able to explore Bermuda from end to end, but missed a few spots. If I had started on day 1, I could have easily seen everything. Specifically, I did not get to birdwatch at Spittal Pond. I took the wrong bus #11 instead of #1 leaving St. George’s and did not have enough time. 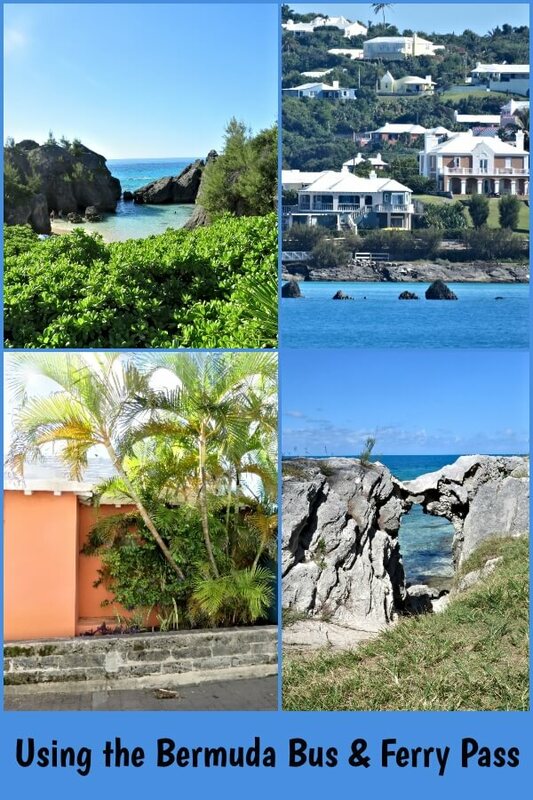 I would also have liked to visit the Botanical Garden in Hamilton, climbed to top of Scaur Hill for views, and hiked the Bermuda Railway Trail. There is always next time. The ferry ride is an excursion unto itself. The AC was out on one bus, but it still was not really bad. Do not be afraid of using the Bermuda Bus and Ferry Pass. 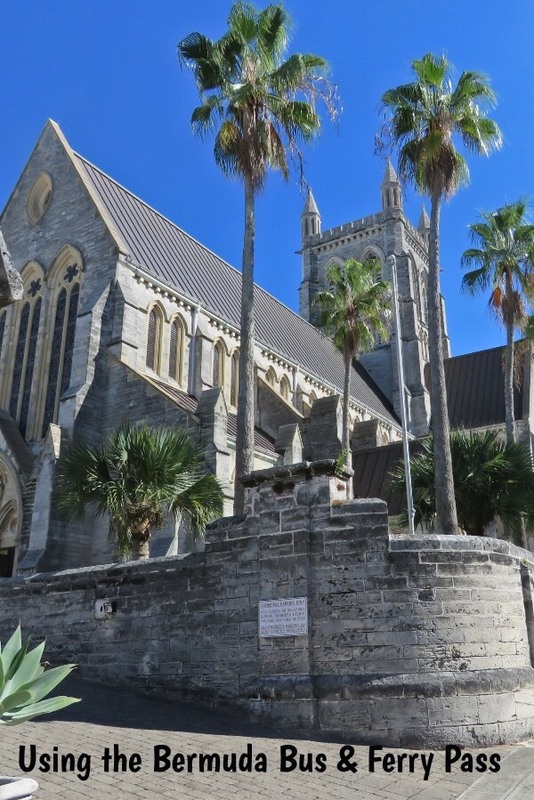 Bermuda is safe and the locals are friendly and courteous. I would not worry if my wife or son used either alone. Explore! 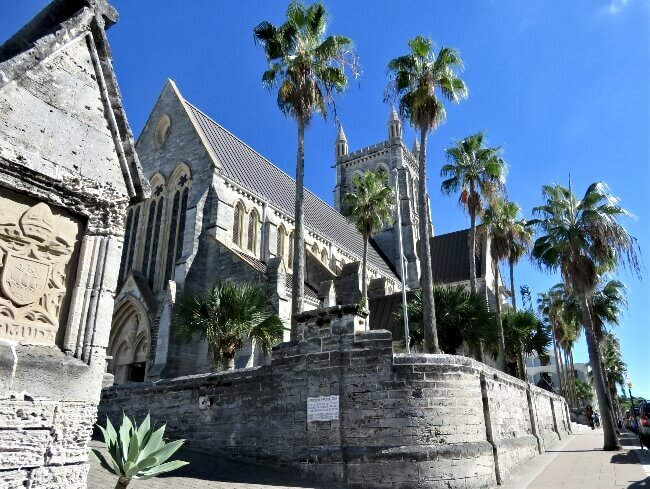 For such a small place, Bermuda offers a lot to see and do. The busses and ferries can get you there. 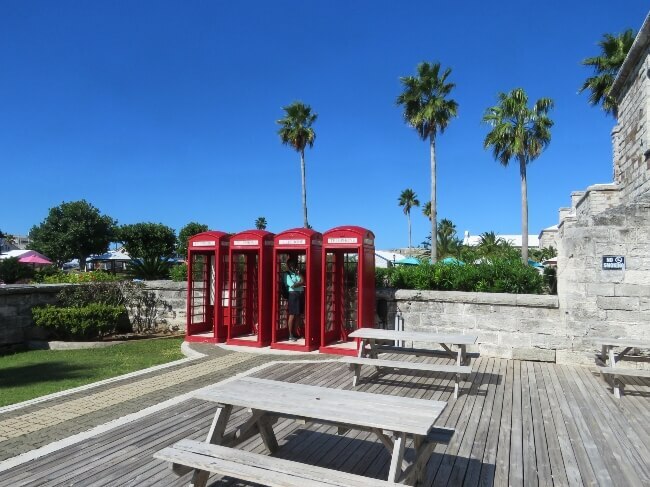 Using Bermuda’s public transit is easy to get the hang of and is a great way to explore this beautiful island. If you know that you only want to go to one place, then it is cheaper to buy tokens at the Tourist Information Center or Post Office. 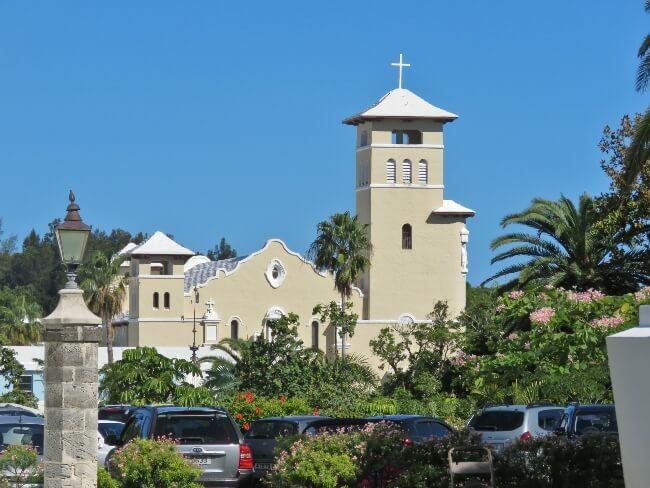 A round trip ferry ride from the Royal Naval Dockyards to St. George’s is just $9.